The necessity of a nature that I live in daily life, the need for a more exotic vision that is opposed to an extreme modern rationalism, the need for a magical collective ritual and at the same time, a willingness to live and coexist with the technology and Space discoveries, have given birth to a new code: Esotico Futuribile. Our willingness is to work with various Italian artisans, and also to select companies and galleries to reinforce our philosophy which is caratterized by self-produced and custom made, with the desire to keep alive the tradition of Italian craftsmanship. We are very attracted to the tailoring of the projects and of the products that is well expressed inside this format The Visit, in which visitors are able to physically perceive the concept of living in relation to the objects that surround them. Bridging the lack of objects in-market is always one of our intent. We seek to conceive the furniture we develop in order not to put on the market other products referred to the same market already replete. A clear example is Romboidale, a library but also a divider, as well as Voliera, a library but also an exhibitor, products in which the feature is combined with the aesthetic. Furnishing realized in Italy and tailored, which are able to be declined in the various spaces they will be hosted and able to meet the different needs of customers. Products always different in sizes and finishes. We firmly believe that this is the true value of what we realize. Top in birch wood treated with black aniline, undertop black lacquered. Black iron structure with cross pices in brass. 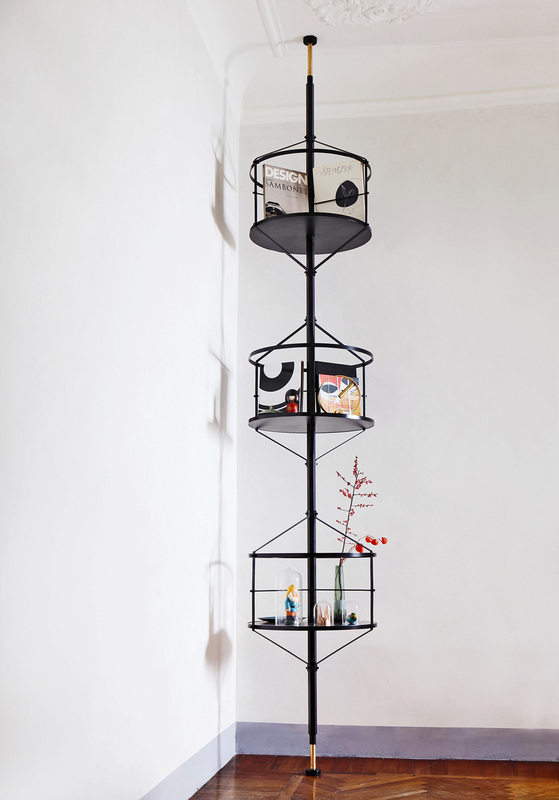 Other version available: top in solid Canaletto Walnut with all-brass structure, other version with top in Taba frisé, bottom part black lacqued, black painted iron structure with brass cross pieces. Voliera is a free standing exhibitor fixed from floor to ceiling. For spaces higher than 330 cm it can be supplied with a wall-hanging bracket. Main structure is made of black powder coated iron. Shelves are made in birch wood treated with black aniline. 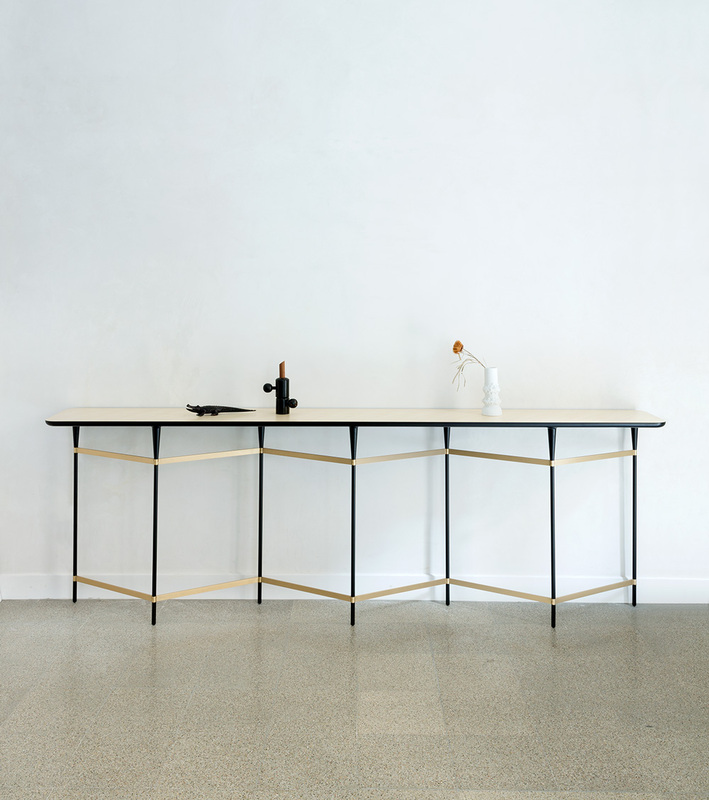 Voliera is also available in brass version with shelves in birch wood treated with black aniline.